Ray-Ban® has been a leading name in sunglasses and eyewear for almost eight decades, ever since their launch of the iconic Aviators for the US Air Force in 1937. Over the years, Ray-Ban eyewear has remained culturally relevant and an instantly-recognisable accessory for generations of celebrities. The brand is constantly innovative yet always remains faithful to its traditions and heritage, which is why we love Ray-Ban. In the 1920s and 30s, rapid developments in aeroplane technology meant that pilots were able to fly at higher altitudes and cover longer distances than they ever had before. However, pilots in the US Air Force were reporting problems with the glare from the sun. Therefore, the Air Force commissioned new anti-glare glasses with green lenses, which could cut glare without compromising vision. The resulting sunglasses were soon remodelled from a plastic to a metal frame and, having gone on sale to the public in 1937, the classic Ray-Ban Aviator was born. Throughout the 1940s, Ray-Ban continued their research and development for the Air Force, resulting in innovations such as a gradient mirror lens, offering pilots anti-glare protection with the lower half of the lens clear to see the instrument panel clearly. These innovations in eyewear proved popular with civilians, who wanted the same benefits of highly effective kit that the military enjoyed, moving Ray-Ban into the fashion sphere. After Ray-Ban’s Wayfarer design was launched in 1952, it wasn’t long before it was seen on the big screen worn by icons such as James Dean in Rebel Without a Cause (1955) and Audrey Hepburn in Breakfast at Tiffany’s (1961). Over the decades, Ray-Bans have appeared in many hugely popular movies, such as The Blues Brothers (1980) and Top Gun (1986), and been worn by pop culture icons such as Bob Dylan and Michael Jackson. This has cemented Ray-Ban’s position as a leader in eyewear with some of the most instantly-recognisable designs in the world. 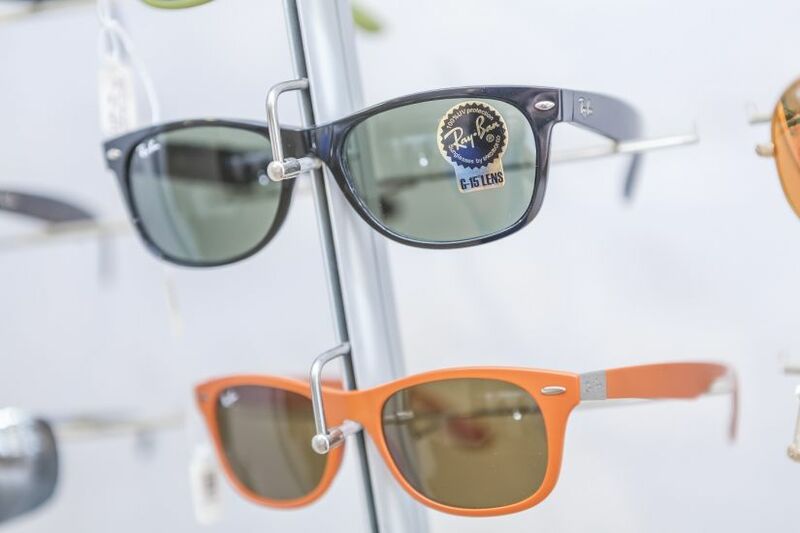 Ray-Ban has continued to expand and reinvent its product range into the 21st century. 2003 saw the launch of Ray-Ban Optical for prescription lenses and Ray-Ban Junior, the first collection of sunglasses exclusively for children 8-12 years old. As well as providing stylish, high quality frames, Ray-Ban Junior also offers maximum protection for children’s eyes. Not forgetting their military development roots, Ray-Ban has also continued to advance frame materials and technology. Models such as their Carbon Fibre, Liteforce and Titanium frames are extraordinarily lightweight, durable and flexible, enabling you to do everything you love without worrying about damaging your frames. 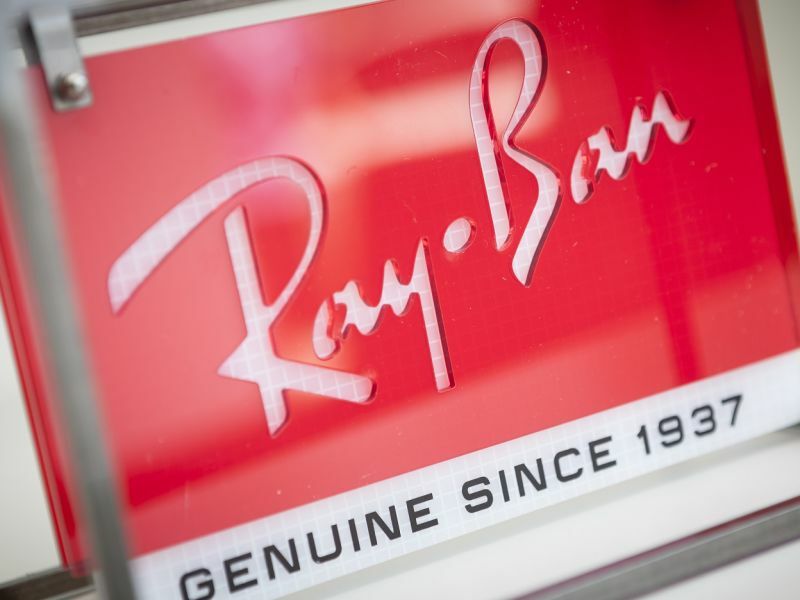 As well as continuing to innovate technologically, in recent years Ray-Ban have also embraced their connection to style and pop culture. ‘Never Hide’ was a ground-breaking global media campaign that focused on Ray-Ban wearers being at the centre of attention wearing timeless statement eyewear. ‘Never Hide’ was a completely interactive digital project, with images and social media content generated by fans. The campaign highlighted the brand’s ongoing connection to popular culture and, enabled by its technological innovation, the opportunity it gives its wearers to express their individuality. At Leightons, we share Ray-Ban’s ethos of technology and individuality. Our fully qualified dispensing opticians can help you choose a style that perfectly suits you and your face shape, and customise them with the lenses that are right for you, including prescription lenses. Should you require your prescription checking in an eye test, our eye exam options include advanced technology such as OCT (Optical Coherence Tomography) scanning and Optomap imaging. To see for yourself why we love the iconic Ray-Ban brand, why not visit your nearest branch? Alternatively, if you would like to book an eye test, call us on 0800 40 20 20 or book an appointment online.